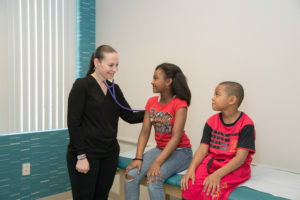 We offer routine well visits at our Riverhead, NY office for age appropriate developmental screening, vaccines and more. At this time, we can discuss how your child is progressing in terms of height and weight, as well as discuss any ongoing developmental concerns you may have. We believe that vaccines play a very important part in the development of your child’s immune system. The providers of Peconic Pediatrics follow the American Academy of Pediatrics vaccine recommendations and feel strongly that vaccines are a vital part of preventative healthcare. For your convenience, we have prepared an online immunization schedule. We have also gathered some online links about vaccinations we believe you may find helpful. You can schedule well visits with any physician you choose, just let the staff know who you would like to see when you schedule your visit.